1 CD with 16-page booklet, 31 tracks, playing time 73:52 minutes. 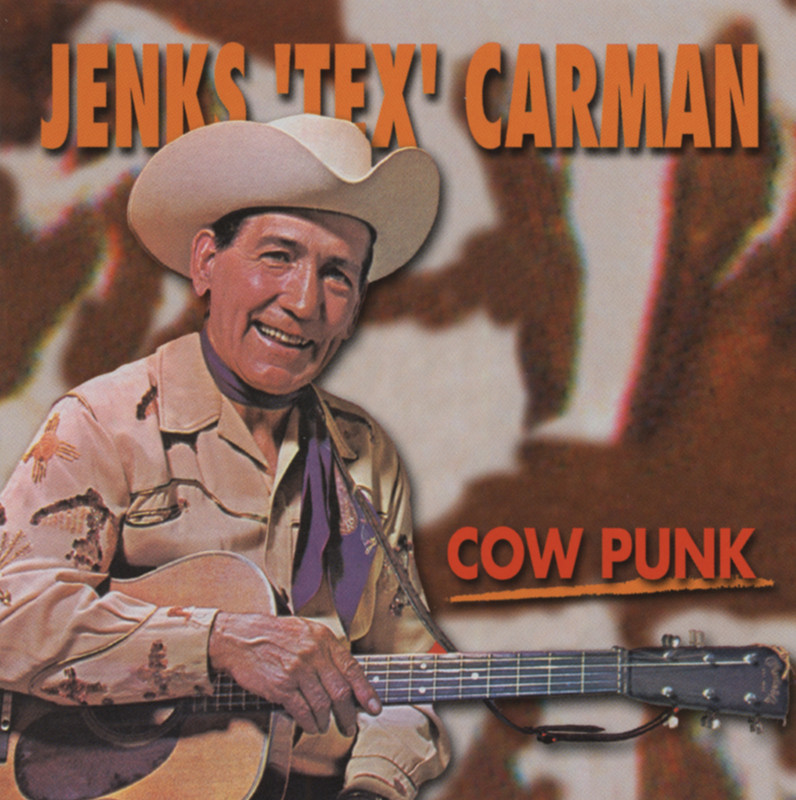 Jenks 'Tex' Carman was a true American original. His unique style of hillbilly hula music would never have made a dent in Nashville, but on the west coast he was embraced. Playing a bizarre style of Hawaiian steel guitar, with little sense of timing, tuning, meter or rhythm, Jenks 'Tex' Carman was on a musical island all of his own. 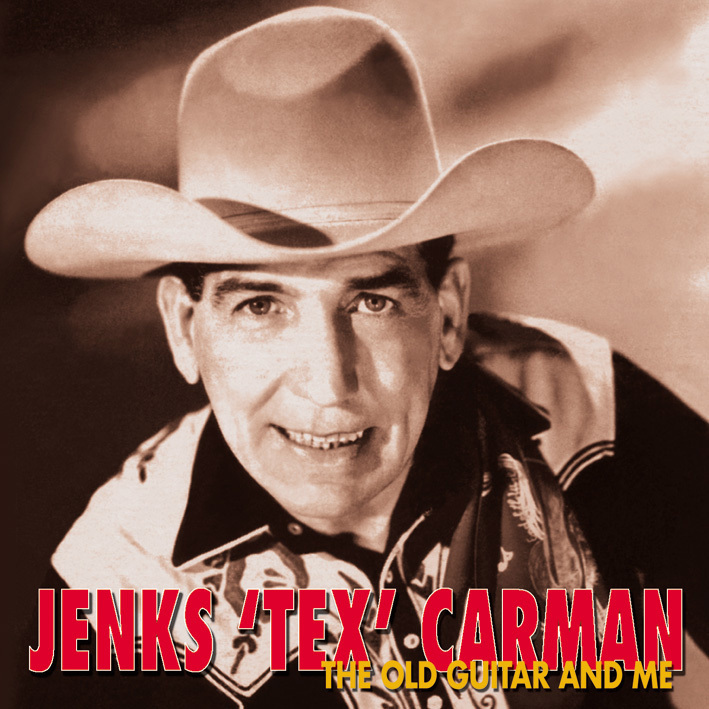 Jenks 'Tex' Carman brought such diverse influences as Hawaiian steel guitar, vaudeville, cowboy ballads, the 'punk' attitude of rockabilly and acoustic country blues together in an act that was as novel as it was perverse. Joe Maphis and Roy Lanham (both of whom have their own solo Bear Family CDs) contribute some amazingly hot rockabilly guitar solos to these recordings. If you’re a fan of the other 'Town Hall Party' artists such as the Collins Kids, Joe Maphis, Johnny Bond and Skeets McDonald then these CDs and DVD are a must! Deke Dickerson Jenks Tex Carman. Who and what was he? A half century ago he was making country records unlike anybody else’s. No amount of smoothing could remove his kind of rough edges. Was he the “first punk country artist?” Did Jenks Tex Carman really have an alternative musical vision in his head or was he simply a borderline psychotic, blazing his own trail and giving voice to the odd collection of sounds in his head? Here was a man you couldn’t display during prime time. At least not in 1955. A half a century later, audiences are a lot more open to hybrid music and category bending. geb. 14. 5. 1911 in Hardinsburg - Kentucky gest. 6. 2. 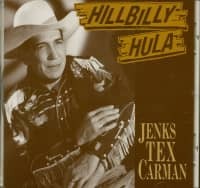 1967 Record Labels: Four Star, Capitol, Sage & Sand, Crown, Rem Jenks Tex Carman, ,The Dixie Cowboy, ein eigenwilliger Sänger, der als Steel Guitar Spieler einen ganz persönlichen Stil entwickelt hatte, begann seine Karriere in den frühen 30er Jahren bei Vaudeville-Shows und Radiostationen. In den 40er Jahren arbeitete er vor allem an der Westküste. Zu seinen bekanntesten Titeln gehören ,Hillbilly Hula, ,Dixie Cannonball und ,The Artillery Song. Wahrscheinlich der einzige, der den Gitarrenstil von Jenks Tex Carman heute noch pflegt, ist der Schweizer Peter Gisin. his is but one aspect of Carman’s life that smacks of mystery as few details are known about his life other than isolated anecdotes and publicity blurbs that were duplicated ad nauseum on album covers. His penchant for wearing Indian regalia in public appearances and his occasional musical references to Indian themes (specifically Cherokee, i.e. Locust Hill Rag) more than hints to Carman’s possible ancestry as a native American (A 1962 Sage album is entitled ‘The Old Indian’ and features Carman sporting a Cherokee headdress and an assuredly un-warriorlike countenance!). Inquiries to the Cherokee nation in North Carolina, however, reveal no records of a Jenkins Carman having been registered. The Breckinridge County Archives notes that Jenks’ great-grandfather’s first wife claimed to be a Cherokee Indian. The Carmans were farmers, but like many rural families at the turn of the century, they loved music, participating in informal musical activities at churches and schools in Hardinsburg. Young Jenkins displayed an early aptitude for music; at the age of twelve he was reportedly an expert at strumming the old family guitar. Probably while still in his teens, Jenkins ventured away from home into the entertainment world, first as leader of the International Clee Club Quartette with the Continental Lyceum Chautauqua Bureau of Louisville, Kentucky. After two years with the Quartette, he embarked on a variety of vaudeville tours, including Loew’s Time, Bently Theatrical Agency Time of St. Louis, Missouri, and others. Leading the nomadic existence of a vaudeville performer, Carman spent much of his career on the go, rarely settling in one place for more than a brief period and developing few close relationships. Even those who performed with him on a daily basis on Town Hall Party in the 1950s knew little about him. On November 12, 1929, Jenkins Carman cut two sides for Gennett in Richmond, Indiana. The two titles, Gypsy Lady and Carson Robison’s Railroad Boomer were never issued. Customer evaluation for "The Old Guitar And Me"